Editors note: These Early Rain Covenant Church Bulletins (below) are directly from the church in Chengdu, China seeking to communicate with their church members in the underground movement and seeking prayer and help from the watching world, especially followers of Christ. Special thanks to Brent Pinkall for translating these bulletins and reports and helping make them available to the public. Please pray and share with others. Our Lord, through these trials, has allowed both those in and outside of prison to testify together for the Lord. Jan. 23: In the middle of the night, officers from the Caoshi Police Station took away sister Zhang Xiaohong and put her in criminal detention on charges of ‘illegal business operations.’ As the time approaches for families to reunite for Spring Festival, authorities are still enforcing rigid policies, putting great pressure on the church and on Christians. Those Christians who have been arrested and locked up have shown no signs of capitulating. Jan. 24: A dozen or so Chengdu police officers and national security officers traveled a great distance to a sister’s home in another city and illegally searched the home. Police took this sister’s new iPhone 8 Plus, which costs 6000 yuan, and they still have not returned it. According to this sister, the phone was a New Year’s gift from her daughter. She has not done anything illegal, but police said the phone was a tool involved in this case. Without following any proper protocol, they took it from her home. Jan. 25: At night, family members of those in prison, including Li Bing, the wife of Deacon Ge Yingfeng, Zhang Xinyue, the wife of Elder Li Yingqiang, and Xiao Hongliu, the wife of Elder Qin Defu, discovered that the bank cards they have been using for daily necessities were all frozen by the bank. On the 26th, they inquired of various people and were sent all over the place. The bank did not issue documents regarding the freezing and did not explain to their clients the reasons for it. Instead, they asked the clients themselves to go ask the department that froze the cards. They finally learned that the cards were frozen by the Qingyang District branch of the Chengdu Public Security Bureau. Jan. 27: Preacher Cheng Zhangchun was released on bail pending trial. 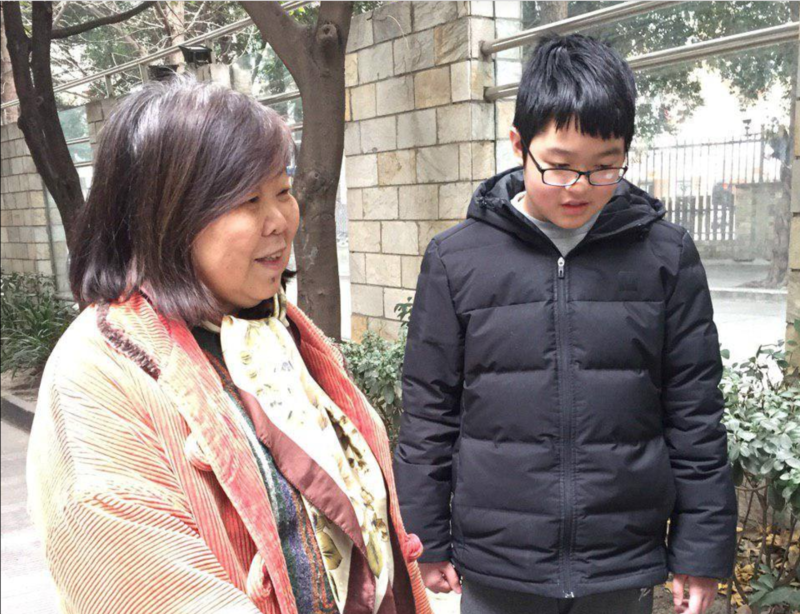 Last Thursday, the government sent someone from his hometown in Anhui Province to Chengdu to take him back to his hometown to monitor him. Preacher Cheng Zhangchun was released on bail pending trial for one year and forbidden from traveling. His personal communication devices were confiscated. After he was released from prison, it appears that his wife’s phone was also taken. Brothers and sisters have lost contact with his entire family. Jan. 28: Four brothers and sisters who were arrested at a Lord’s Day gathering on Jan. 13 and placed in administrative detention for 15 days fulfilled their sentences and returned home. These include brother Qiu Hao, husband and wife Jianqing and Zhixue, and sister Haiyan. Praise the Lord! At this time, everyone who was placed in administrative detention has completed their sentences. Jan. 29: Another young couple, after getting to know each other in the midst of these hardships of the “12/9” persecution and after praying, has decided to begin dating. May the Lord bless them and lead them down the path ahead of them. Jan. 30: Spring Festival is almost here, but there are still 14 brothers and sisters in prison. 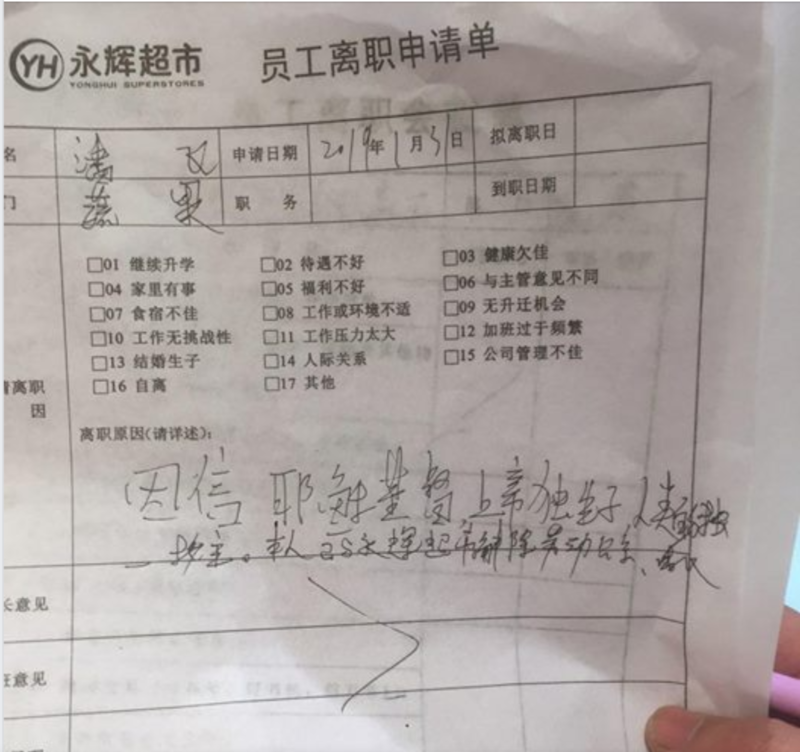 Their family members thought that since they cannot celebrate Spring Festival with their other halves, they would try to send them some gifts in prison. They figured that the thing that would make their loved ones inside most happy would be a Bible. But after much effort, they were still unable to get Bibles to them. Older brother Zhang Xian, who got sick and was admitted to the hospital on Jan. 4, is still dealing with a serious illness. Every evening brothers and sisters must be with him. May the Lord have mercy on him. In the midst of these tribulations, brothers and sisters have been showing more care and support for each other and have been praying more for each other. They have also been receiving attention, greetings, encouragement, financial support, and prayer support from brothers and sisters from all over. We are so thankful for the big family God has given us. May all glory go to our Heavenly Father! “Jan. 15: Brother Zhu, who was placed in criminal detention on charges of ‘picking quarrels and provoking trouble’ for reposting an Early Rain Covenant Church prayer letter, was released on bail pending trial after being locked up for 30 days. May the Lord bless his mother, who has severe dementia, and those family members of his who don’t yet believe in the Lord, that they might be able to experience with him peace and joy in the Lord Jesus Christ. Jan. 17: Brother Li, who believed in the Lord and was baptized last week on his sickbed in the ICU, left this world and returned to his heavenly home at 7:20 a.m. on the 17th due to his illness. He was 83 years old. Please continue to pray for brother Li’s family members. May the Lord comfort them in their grief and give them hope for the day they meet again. Today police suddenly burst into the home of one sister. Without following any proper legal procedures, they searched her home, rummaging through boxes and shelves. They did not find anything and left. Police tore up a copy of Article 39 of the Constitution that another sister had taped to her door. When asked about it he denied it. There is great injustice here. Please pray for law enforcement officers and ask the Lord to enlighten them that they might see their sin and helplessness and turn to seek the Lord who saves men from sin and brings them into the light! Today we learned that a sister had a heart attack from the stress brought about by being followed and threatened for such a long time. The official who was harassing her said, “You can call the police at 110 if you’re able!” Another sister had an anxiety attack. Thank God brothers and sisters from her small group immediately went to take care of her. Please pray for brothers and sisters in these kinds of situations and ask the Lord to especially watch and protect them, to make them strong in the Lord, and to open a way for them! 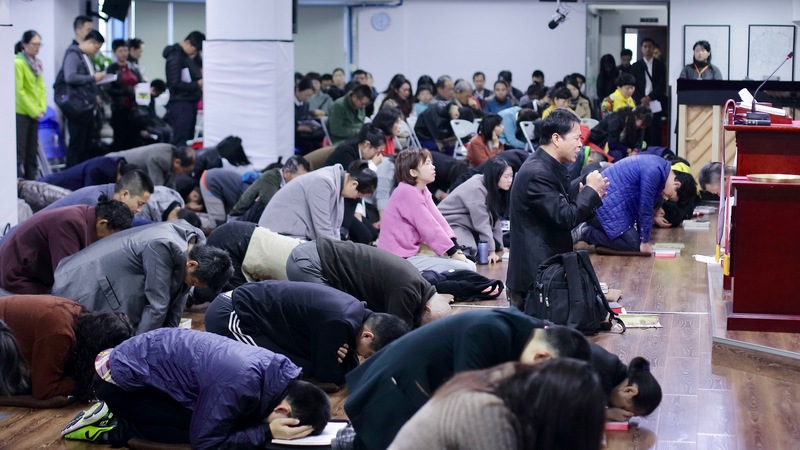 Jan. 18: It is reported that churches and brothers and sisters from all over the country who previously purchased Early Rain Covenant Church books and sermon flash drives through WeChat have been being harassed. Police are entering their homes and searching for books, taking them to the police station for interrogations, and so on. Some have also been spoken to with threatening language for very long periods of time, and authorities have gone to their workplaces to pressure them. Brothers and sisters to whom this may concern, please be vigilant and make necessary preparations. Jan. 19: This was the day of brother Li’s memorial service. Many brothers and sisters were prevented by guards from leaving their homes early in the morning. Even though there were all kinds of disturbances, the memorial service proceeded according to schedule. Brother Li’s body was covered with a sheet with a cross on it. Before it was taken to the cremation furnace, the hymn ‘God Be With You Till We Meet Again,’ which we had just sung at the memorial service, unexpectedly began playing right there. Having not previously planned this, we were all both surprised and delighted. This really was the good purpose of God! Praise the Lord! The promises of God are trustworthy! Thank you to the whole Body for praying! Jan. 20: The Lord’s Day. The topic of the sermon was “The Storm of Eden,” and the Scripture was chapter three of Genesis. Please keep praying for those brothers and sisters who are being kept from participating in Sunday worship and cannot fellowship with other members. Ask the Holy Spirit to be present with them and to bless them with comfort and mercy! And ask the Lord to help them break free of these barricades so that they can once again experience the joy of worshipping together with their family in the Lord! Jan. 21: The three brothers and sisters who were previously detained for holding the Gospel Class completed their sentences. They were released and returned home. The other brothers and sisters, seeing them finally reunite with their family members, rejoiced. We are also thankful that the employer of one of the sisters kept back her job for her. We are also especially thankful for those family members who do not yet believe in the Lord but who have been accepting and understanding. May the Lord especially open their hearts, and may they be drawn to that peace and eternal glory that cannot be taken away. May they seek and follow the Lord! This week, many brothers and sisters were taken away multiple times for interrogation. The questions of those handling the case have centered on Pastor Wang Yi’s financial circumstances. For example, in addition to the electric scooter that he has been riding to and from work these past dozen or so years, does he also have a Mercedes Benz or a BMW? Some police have even said very directly through the course of their coercing and bribing, ‘We want to convict Wang Yi with a crime. As for the rest of you, it depends whether or not you cooperate. If you cooperate, you can return home for New Year’s and won’t have any problems.’ In their eyes, laws are clearly just decorations they can play around with. Brothers and sisters are being visited by leaders from their registered permanent residences, including county heads of the United Front Work Department, bureau chiefs of the Bureau of Ethnic and Religious Affairs, and village mayors. They are coming to Chengdu at public expense to speak with them and to require them to leave Chengdu, to return home, and to cut ties with Early Rain. Some brothers and sisters are being closely guarded in their hometowns and are not being allowed to return to Chengdu. Those brothers and sisters who are out on bail are also being strictly watched. What is even more ridiculous, family members of those in criminal detention are being surrounded by five or six people whenever they leave their homes. They are even afraid of women and children! So far, those who have been in jail since the beginning have all exceeded the 40-day limit. Some say they have already been indicted, but their family members have not yet received any indictment documents. Some family members have seen documents and signed them but were not given copies. According to Chinese criminal law, all who have been placed in criminal detention throughout this case are allowed to meet with their lawyers. But throughout this case, none of the lawyers have been able to meet with their clients. They have not even been allowed to meet with those who have already been indicted. What’s worse, while the detention center falsely claims that someone is being arraigned, the Justice Bureau simultaneously calls and notifies the lawyer that the director is not able to meet with him and that there is no use waiting. The shameful trampling of the law by Chengdu authorities has been incredible. May God comfort his servants and the hearts of his children on earth, and may he heal this land, granting liberty to the captives, recovery of sight to the blind, and setting the oppressed free. Some brothers and sisters are seriously considering formally applying to withdraw from the Communist Party after seeing what is really happening and the differences of values. Please pray for them, asking the Lord to strengthen them and to open a way for them. Brothers and sisters who were once in administrative detention have come out and shared about their experiences. First of all, they realized that they were not as prepared as they thought they were. And they did not have the love and desire to share the gospel with drug users and thieves to the degree they once thought. They shared that they wanted to memorize more hymns and Bible verses so they could strengthen themselves and bless others. 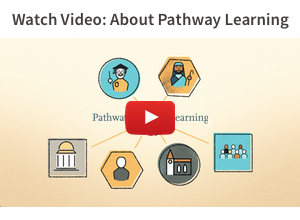 They also summed up some specific experiences. For example, people who were locked up were really weak and unaccustomed to that environment for the first few days. If brothers and sisters had visited them it would have greatly helped them. Their family members outside could usually get by fairly well for the first few days, but later they became more and more exhausted and lonely and needed brothers and sisters to visit them and help them. Hopefully churches that are preparing for similar situations can draw on these experiences and better care for each other. Finally, let us think about what Paul said in prison: ‘I want you to know, brothers, that what has happened to me has really served to advance the gospel, so that it has become known throughout the whole imperial guard and to all the rest that my imprisonment is for Christ. And most of the brothers, having become confident in the Lord by my imprisonment, are much more bold to speak the word without fear.’ (Phil. 1:12-14) We believe that this is also the desire of those brothers and sisters who are locked up. May we all advance the gospel! May we respond with the gospel to those who are persecuting us, guarding us, and limiting our freedom. May we love those unlovable people with the love of Jesus. And may we cover with the righteous garments of Christ the weaknesses, failings, and humiliation of ourselves and others, filled with the fruit of righteousness that comes through Jesus Christ, to the glory and praise of God! We don’t know how many streets have heard the name of the Lord Jesus until now, but we know this number is increasing. This increase is not on account of our initiative, nor did we orchestrate it. And God is still continuing to send his ‘special ambassadors’ to prison. This week, eight brothers and sisters were released on bail pending trial, and four more were placed in administrative detention. We use the passive voice here because regardless of whether we are being arrested or being released, we are not doing this of our own initiative. Jan. 8: The lawyer whom Pastor Wang Yi appointed for himself was taken away by Chengdu police after meeting with Pastor Wang Yi’s mother and son. He was released after six hours. As of now, none of the lawyers working the “12/9” case have seen their clients. Jan. 9: Brother Zhu Xiaoguang, who was locked up for 27 days in criminal detention, was released on bail pending trial and returned home. He is the first brother we know of to triumphantly return home. He was charged with “illegal business operations,” and his crime was helping the church mail some books. He is the father of little Abel mentioned in the last church bulletin. All of his children were still counting flower petals today looking forward to their father’s return. God has given them an unexpected surprise! 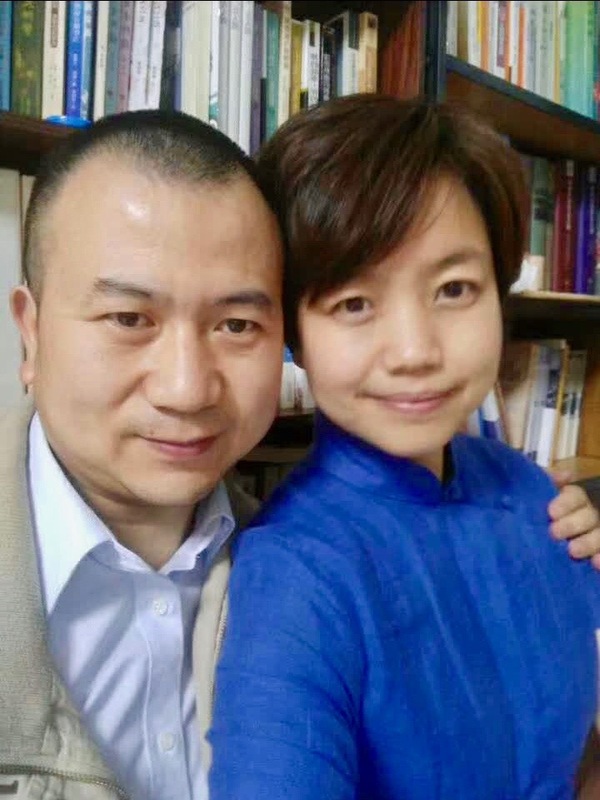 Jan. 10: Brother Fu Lijun and sister Lü Jinheng, who were both in criminal detention, were released on bail pending trial. Brother Liu Yingxu, with whom we had lost contact for a long time, was also released on bail pending trial. Only then did we learn that he had been locked up the whole time. We could not learn any information about him no matter who we asked. Brother Fu Lijun was the first Christian arrested during the first wave of the “12/9” arrests at Early Rain Covenant Church. His crime was selling the book with the highest volume of sales in the world, the Bible. The sales volume of this book in China is no exception. Jan. 11: Through help of Facebook staff, our stolen account was returned to us. We officially began using it again on the 11th. These past few days, people have still continually been trying to break into it, resetting the password, and so on. But they have not succeeded. It is likely that these attacks will continue. We were notified by chance that one sister has been continually and closely guarded at her home by 20 to 30 people since December 9th. She is not even being allowed to leave her home. When she tried getting on a public bus she was dragged off. Because communication channels are being blocked, we did not know that there are some brothers and sisters facing situations like this. Please pray fervently for them! Jan. 12: Sister Huang Yaling and brother Luo Yao were released on bail pending trial. Brother Li believed and was baptized in the intensive care ward at the hospital. Praise the Lord! He caused brother Li, who had been in a coma, to wake up that afternoon. His mind was clear and he could clearly communicate. His baptism went smoothly. One small group was raided while worshipping at a home. A total of eleven adults and three children were taken away during the ordeal. The youngest child was two years old, and the oldest was seven. While police were waiting for more people to come to take them away, brothers and sisters there still continued fellowshipping. Throughout the afternoon until late at night, news trickled in of the brothers and sisters being released one by one. On the second day, it was confirmed that five brothers and sisters had been placed in administrative detention. The sentence of one of them was temporarily suspended, and he was allowed to return home because his wife is still in detention and they have a young child. Jan. 14: We learned that sister Huang Yutian was released on bail pending trial and returned to her home in Chongqing on the 13th. Brother Wang Fei was also released on bail pending trial. A young couple announced that they are beginning a relationship together. They shared with everyone about how God led them these past six months from not knowing each other to falling in love with each other, and especially about how God worked all things together for good in the midst of danger and persecution. Through this, God made each of them know for sure that He was the one leading them to enter into a relationship. Even though they are currently forced to be apart and cannot see each other, may God bless them and allow them to break through the distance barrier so that they can know and love each other more, seeking a future running the Heavenly race together. Jan. 15: Brothers and sisters are still often suddenly being visited by police and taken to the police station for a few hours of interrogation (in some cases even more than 20 hours). Police are searching their phones and trying to crack their passwords. This happened to two more brothers and sisters today. Video cameras have been installed outside the doors of brothers and sisters whose homes are being monitored. They are still being closely followed or secretly stalked. Photos are still secretly being taken of them, and so on. May the Lord give us brothers and sisters an alert mind to help us look out for each other! Jan. 10: Fountain of Life Church, which belongs to Western China Presbytery, was raided. The Civil Affairs Bureau, the Religious Affairs Bureau, the Department of Culture, and the police came together, led by the deputy director of the police station. They cited social management regulations (Civil Affairs Bureau), the new religious regulations (Religious Affairs Bureau), and cultural management regulations (Department of Culture). They gave a verbal warning that the church could not organize illegal religious activities. The elders were briefly interrogated and refused to answer many questions. Authorities took a few books. Jan. 15: At 9:00 a.m., around 50 people with the City Management and Law Enforcement Bureau in Xiamen, Fujian Province, illegally and forcefully removed the aluminum-framed glass partitions, the stainless steel security door, and the electronic lock on the 5th floor of the No. 6 commercial building in Yuanbo Liuli on Xinglin Street in Jimei District without presenting any legal documents. They did so under the pretense of it being a security risk, but their real reason was because the owner of the 5th floor is homeschooling many children and toddlers and throughout the year puts on many cooperative community group activities on the 5th floor, gives education training for teaching mixed classes of regular and special-needs children, hosts activities for families to help each other, holds training for parents, and so on. The security door prevented them from easily entering. At 11:00 a.m., around 150 Christians in Nanyang prefecture in Henan Province were surrounded by armed police while attending a dinner at the Nanyang Bright Moon Hotel. A few believers who fainted were taken by ambulance to the emergency room. Phone signals inside the hotel were blocked. Details of the situation are not clear. Our lives are a play. People will watch it, whether we want them to or not. Sometimes it seems like we are living in peaceful times, but in reality, danger lurks around the corner. Sometimes it seems like the waves are crashing in, but in reality, we are safe and sound. If God uses us to let people see spiritual reality through the play of our lives, then we have lived worthy lives. As we watch this persecution continue, churches and brothers and sisters from all over the country are being pulled into this storm. This is an opportunity to spread the gospel to the authorities and to all of society, to tell them that God’s only Son Jesus, the savior and king of mankind, was killed in order to save us sinners, was buried, and was raised from the dead by the power of God, that he overcame the power of sin and death. Out of his his love and mercy, God has prepared forgiveness and salvation for all who are willing to believe in Jesus, including Chinese people. At any time, any person can repent of any sin and turn to Christ and fear God, obtaining for himself eternal life and bringing upon his family and country the generous blessings of God. Lord, please look after them and commemorate them for your church. May the Lord be with them personally and give them an unexpected peace! May the Lord personally comfort, inspire, use these limbs to go to the footsteps of the mission, and bring the gospel to those who are desperate and suffering in the dark! “Praise the Lord! Brothers and sisters at Early Rain Covenant Church welcomed the new year with a New Year’s prayer meeting. Brothers and sisters sacrificed their love and their knees for the church and for those brothers and sisters in prison. They were also comforted and encouraged by God and by each other. In this new year, members of Early Rain Covenant Church are still being harassed in their workplaces and persecuted because of their faith. School authorities are greatly pressuring some members at their schools, and church workers who have not yet been detained are still being closely monitored through various methods. Jan. 3: Brother C, who went missing for 48 hours, suddenly returned home and was being monitored by community police officers with “red armbands.” During these 48 hours, brother C was detained at the Chengdu City East Gate Police Station. On the first day of interrogations, police handcuffed this brother to the interrogation chair for 24 hours. He did not sleep or rest and was given no food or drink during this time. Many phones and computers from his home were taken. His wife was taken to the police station for interrogation while carrying her swaddled child. Three men and one woman, none of whom identified themselves, interrogated brother C for 48 hours straight using harsh language, threats, and yelling. Jan. 4: 90-year-old scholar and brother Zhang Xianchi came down with a sudden illness and was rushed to the hospital. Brothers and sisters dropped what they were doing and went to the hospital. Brother H, from one of the church plants, was being strictly monitored at the time. He broke away from those trying to prevent him from leaving and came to Chengdu to be at the bedside of brother Zhang with the other brothers and sisters. They prayed, sang worship songs, and accompanied him during the hospital stay. Jan. 6: This was the first Lord’s Day worship of the new year. The Scripture was the Gospel of John 14:1-14 and the sermon was “Do not Be Troubled.” At 5:00 p.m., while nearly 20 students of the Gospel Class [a Sunday School class for seekers] were eating at a restaurant, area police officers from the Shuyuan Road Police Station arrested them. Students of the Gospel Class were released one by one around midnight. They were required to sign pledges that had been printed off ahead of time which forbid them from meeting together and from attending Lord’s Day worship and Bible studies at Early Rain Covenant Church. The next day, three people were taken back to the police station and interrogated. These three members (sister Li Chengju, sister Deng Keli, and brother Zhu Hong) were still not released after 24 hours. After many inquiries, we were told that they are being kept at the Pixian County Detention Center. Their relatives have not yet received any legal documents regarding their detention. Since the “December 9th incident” at Early Rain Covenant Church, churches from all around the world have been praying for Early Rain Covenant Church in many ways. There have been outdoor prayer meetings. There have been calls to pray every day at a certain time. There are also brothers and sisters from all around the country who are fasting and praying on their own for the members of Early Rain Covenant Church. We believe that God has allowed suffering to come to his children in order to accomplish something greater. Our ultimate hope is not that this country would allow freedom of worship, for the kind of worship our Father in Heaven desires is worship in spirit and in truth, and this worship cannot be restricted. Our ultimate hope is that the gospel would spread throughout the whole world and that the Kingdom of Heaven would come in its fullness! “Today was the exam for the Gospel Class [a Sunday school class for seekers]. It was also our final class. We met at a restaurant to study and to have a fellowship meal together. We began around 5:30 p.m. At about 6:00 p.m., around 20 officers from the Jinjiang District Police Station rushed in and confiscated all of our cell phones and ID cards. Then they took us to the nearby Shuyuan Road Police Station. At around 7:30 p.m., brother Zhu Hong and sister Ke Li were taken to the interrogation room and interrogated. At around 8:00 p.m., they took three to four brothers and sisters upstairs to be interrogated. Sister Ke Li was interrogated for around two and a half hours. The brothers and sisters upstairs later came down one by one. I left the station at around 12:10 a.m. According to my cousin who came to pick me up, I was the second person released. I think the first person must have been sister Ren Pingying and her child (I was told that two police officers took them home). When I was released, brother Zhu Hong was still being interrogated (loud and angry yelling was coming from the interrogation room). Sister Cheng Ju is praying with everyone. Praise the Lord, the police were fairly gentle this time. In the beginning they were quite severe, but later, while we were waiting, we could talk freely, read our Bibles, and sing hymns. During this time, sister Cheng Ju shared the gospel with an assistant officer and prayed for him. Please pray for those seekers who have not yet believed in the Lord. This is a big test and trial for them. Please pray especially for brother Zhu Hong and sister Cheng Ju. Ask the Lord to protect them and give them words to speak. The floor outside of the interrogation room is very cold. No one there has eaten or drunk anything yet. May God help us. May he destroy the schemes of Satan. May he give us the full armor of God so that we may testify well to the gospel and fight the good fight for the Lord. “12/26: In addition to Christmas Eve gatherings in small groups, there were also small group gatherings in the middle of the week. Brothers and sisters studied, shared, and prayed together, and everyone was greatly comforted. The homes of some brothers and sisters were closely monitored on Wednesday evening and all day Sunday, preventing them from attending the gatherings. 12/28: Preacher Cheng Zhangchun was transferred to criminal detention after his sentence in administrative detention was served. 12/29: Little sister Zimi returned to her heavenly home. Around 70 brothers and sisters gathered at Zimi’s home in the evening to bid her a solemn farewell. They were very grateful. Two police officers came. It was a testimony of the gospel for them. Twenty-some families have husbands or wives in jail. Family members who expressed their thoughts on Weibo or WeChat all had their accounts closed and their articles deleted. They started a public Telegram channel called “Reflections on the Early Rain Covenant Church 12/9 Incident” (https://t.me/qysysnpd). You are welcome to subscribe! 12/30: On the Lord’s Day, we gathered together for worship using special methods. The sermon was “The LORD Will Double Your Blessings” and the Scripture was Job 42:1-17. Everyone was greatly encouraged. However long we suffer, we will be blessed with double blessings for just as long, and this entire process will testify to the glory of God. On the previous Lord’s Day, worship was interrupted at the home of Elder Su Bingsen. Almost 20 adults and children were taken to the police station until 5:00 p.m. On this week’s Lord’s Day, all of these people still persisted meeting together and used this as an opportunity to practice doing “small things” for the Lord and to practice overcoming fear and worry in their hearts. Praise the Lord! This was the first time these two groups finished a worship service in its entirety without interruption since December 9th. As New Year’s Day approaches, there are still brothers and sisters being forced to leave their homes immediately. They are looking for temporary places to say and trying to pack. They are experiencing many difficulties. The law firm where one sister works terminated her contract after she refused to sign a pledge promising not to attend gatherings at Early Rain Covenant Church. She may now not be able to obtain her lawyer’s certification. Many brothers and sisters have been given a “final notice” that if they attend a gathering at Early Rain Covenant Church again, they will be placed in detention. 12/31: The New Year’s prayer meeting began at 8:30. Each small group took turns leading everyone in a song and in a prayer and shared what they were thankful for. The brothers and sisters were greatly comforted and encouraged. As they entered the new year, everyone listened to the hymn “Everlasting Lord,” based on Psalm 90, hoping that they will have as many days of joy as they do of suffering. 1/1/19: Many family members of those detained have appointed lawyers to take on the 12/9 case, but the lawyers are still not being allowed to meet with their clients. The reason given by the detention center is still that the case is being reviewed. One of the litigants is from Guangdong and is not a Christian. She has been kept in Chengdu under suspicion of “illegal business operations.” Her lawyer has also not been able to meet with her. Not only have these appointed lawyers not been able to see their clients, they have been asked, one after another, by relevant departments to drop their cases. A Three-Self Church in Luoning County, Henan Province has been forced to remove the First Commandment from the Ten Commandments. Earlier in August, the cross on this church’s building was taken down by the government. Bibles have reportedly been completely removed in order to make way for a new translation of the Bible based on so-called “traditional culture” and the core values of socialism. The government has also required all churches to teach the “core values of socialism” as doctrines. The homes of villagers in Anhui Province have started being searched and all things related to Christ are being destroyed. Some illiterate sisters have been sending voice messages to encourage each other not to voluntarily take down religious décor in their homes. As a result, their WeChat accounts have been deleted. House churches in cities are also being closed and banned. “At 6:00 p.m. this evening, a number of police officers came to the home of Preacher Cheng Zhangchun and searched his house. They took a few books, CDs, and his cell phone. Those who came notified his family that Preacher Cheng Zhangchun has been transferred from administrative detention to criminal detention. He is now being held by authorities at the Chengdu City Detention City. 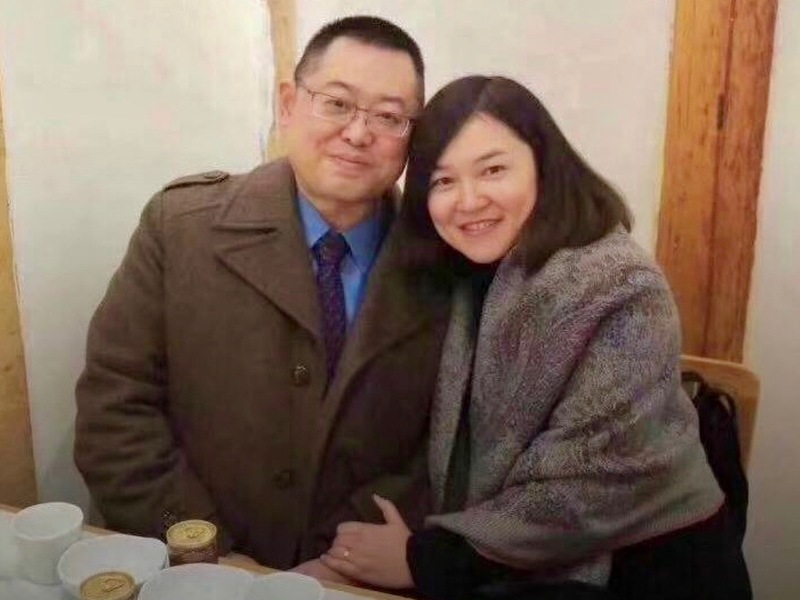 On December 15th, authorities placed Preacher Cheng Zhangchun in administrative detention for 14 days on charges of ‘picking quarrels and provoking trouble.’ He was originally scheduled to be released on the 29th of this month. According to Chinese criminal law and the usual practices of the justice department, Cheng Zhangchun and the other brothers and sisters in detention might be facing indefinite detention. Authorities can continually alternate forms of detention, prolonging it for several years. The coming days will determine whether or not this is the case for Preacher Cheng Zhangchun. We just received news that many family members of those in detention have been told they cannot leave their homes tomorrow because city leaders are coming. A preacher from Enfu Church was notified that authorities are currently trying to determine how close the connection is between the two churches [i.e. Early Rain Covenant Church and Enfu Church]. During this ‘smokeless war’ in China today, when you see the Chinese government shutting down an influential house church on December 9th, when you see Pastor Wang Yi and other brothers and sisters continually being thrown in prison, when you see the following list of those in detention, all of this tells you the actual situation in China. “Since the ‘12/9’ incident began, Early Rain Covenant Church’s WeChat [i.e. social media] groups, including evangelism groups, Bible study groups, fellowship groups, education groups, and humanitarian groups (nearly 200 in all), as well as over half of the personal WeChat accounts of church members, have all been permanently shut down or restricted from sending messages. Tencent, the company to which WeChat belongs, did not give any explanation when they shut down these ministry groups of Early Rain Covenant Church. 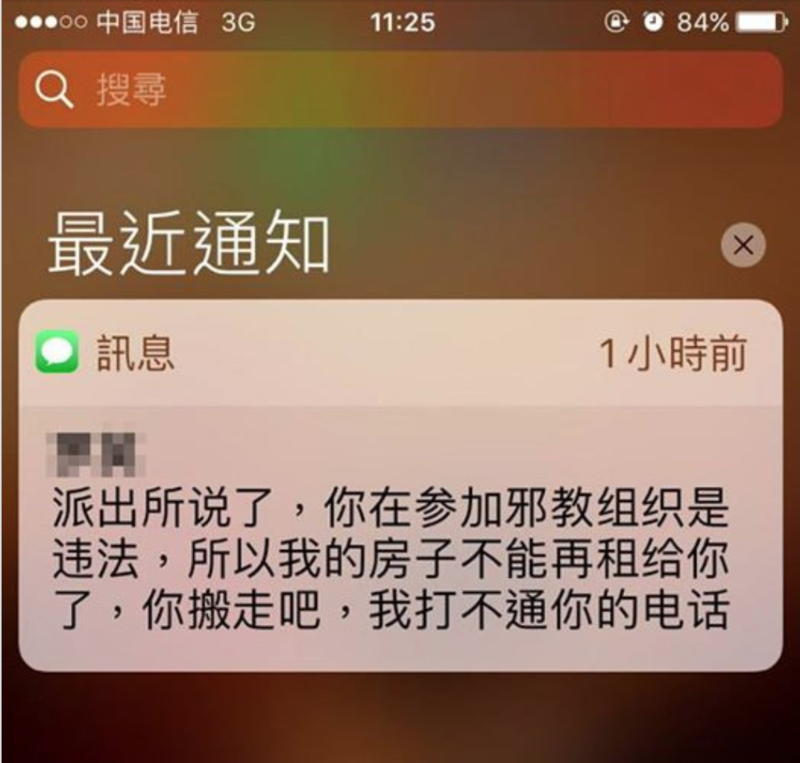 Church members’ personal WeChat accounts have been shut down with notices saying the accounts are “fake,” “too large,” or “unused,” and they have not been given an opportunity to appeal. The radio station used by the church to spread the gospel has been deleted by NetEase. NetEase has not only restricted the public from listening to the gospel through the NetEase cloud service, they have also deleted all of the gospel materials in the account and forcefully taken away Early Rain Covenant Church’s ownership of all the audio recordings in the account. On December 11th, the church’s Facebook account was stolen, preventing us from telling the public about the harsh persecution brothers and sisters of Early Rain Covenant Church are experiencing. Through a series of restrictions on Early Rain Covenant Church and on the faith of brothers and sisters, and through increasingly strict measures preventing church members from preaching the gospel of the Kingdom of Heaven, authorities are suppressing true churches like Early Rain Covenant Church by controlling various public resources. In this moment we see the mighty arm of God upholding his people, showing them favor and performing wondrous works. Chinese authorities have forcibly taken away four foster children from one couple at Early Rain Covenant Church. The following is an excerpt from a piece written by Early Rain member Jia Xuewei（贾学伟）titled “A Kind of Evil Called Intentional Cruelty” （有一种恶 叫故意的残忍）. Names have been changed for security reasons. “What makes me weep most is what I saw this morning. The four children in sister C’s family are all being sent back to their birthplace in Xuanhan County and may never be able to return. The biological family of these four children from Xuanhan is facing extremely difficult circumstances. Their father is absent. Their mother has a mental disorder. Their grandmother and grandfather are very old and have no energy to take care of them. Local welfare agencies won’t take them because of some strange rule. Of these four poor children, the youngest is three years old and the oldest is not yet ten. They were barely surviving at home. C and W brought them to Chengdu to foster them. I remember it caused a stir within the church at the time. With the addition of their own biological child, their family all of a sudden had five lively children. Of course, they were financially strained. W is just a normal mail courier. Providing for his whole family has been difficult. But this has not been a huge concern. God provides for his own children. We all supported them together. For more than a year, the children have been living here and going to school here. They have been so happy. “As of today, 16 members of Early Rain Covenant Church have been placed by authorities in criminal detention, 4 have been placed in administrative detention, 5 have gone missing, and more than 150 have been arrested and taken to police stations for long interrogations, including pregnant women, children, and elderly people. Nearly 700 members are being monitored, followed, and threatened by community authorities and security departments of their workplaces. Two people have been beaten and suffered serious wounds. The sanctuary on the 23rd floor, the library on the 21st floor, the liberal arts college and seminary on the 19th floor, and the sanctuary and K-12 school on the 6th floor have all been ransacked and emptied. Brother Wang Jun, while peacefully and reasonably negotiating with police, was seriously and violently attacked. His head, knees, and toes received wounds in multiple places. After the church lost its sanctuary, he, along with other brothers and sisters, worshipped Christ the Lord beside the Funan River on the Sabbath last Sunday, where he was once again detained. His child, who had just turned one year old, and his wife Tang Shuangfei were also detained. After being interrogated for more than 30 hours straight, brother Wang Jun was sentenced to 14 days in administrative detention. On December 20th, police came again to the home of Elder Su Bingsen and searched it without a warrant, violating the privacy of other family members. Elder Su Bingsen, as well as the other pastors, elders, preachers, and members in criminal detention, have been deprived of the right to meet with an attorney. We have no way of knowing with reasonable certainty how police are treating them, whether or not they have been abused or tortured while in detention. We plead for the Lord’s mercy. Even so, brothers and sisters are still holding fast to the teaching of the Lord Jesus Christ in the Bible to not stop meeting together. They are still bravely preaching His Truth and meeting together in various forms to study the Bible and to comprehend God’s Word. We offer up thanksgiving to God. As his church is under great assault, he is reviving multitudes of His faithful children.